While most kids eagerly anticipate summer vacation, this week, a group of San Jose middler schoolers are anxiously waiting to see their science experiment sent into space. 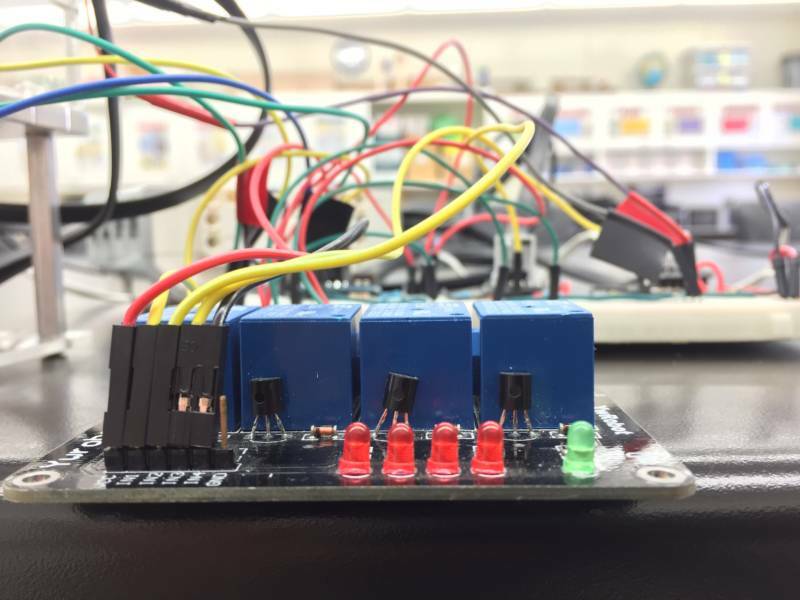 Over the school year, students at the Stratford School developed a software program that uses a robotic kit to determine how heat behaves in a microgravity environment. 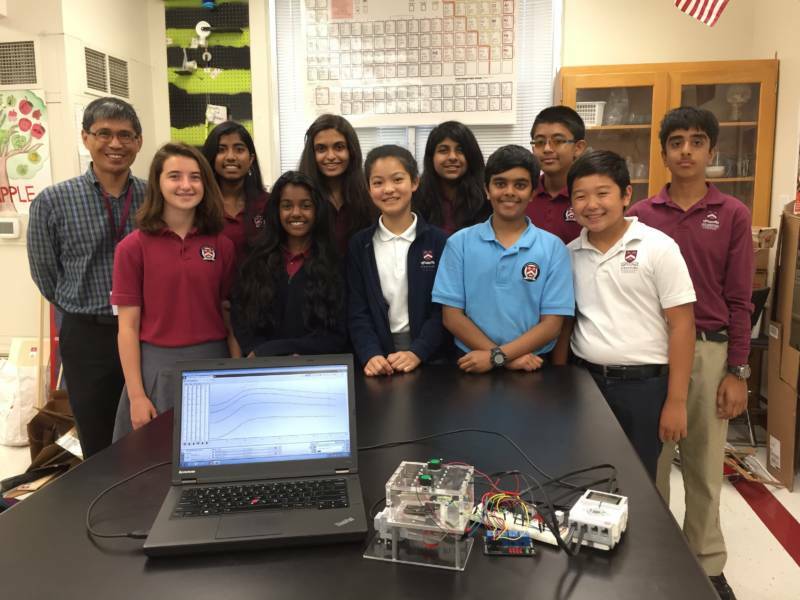 "We as middle schoolers can send up our own experiment to the International Space Station and get back our own data from space, like, that’s just, like, amazing," says eighth grader Nikhita Vaddineni, who led project communications for the team. The Stratford students used a Lego-made kit to gather information about how heat is distributed here on Earth. An electrically-charged ceramic rod emitted heat and two sensors monitored how the heat either rose or fell due to gravity. “On the Earth, the cold air is heavier so it gets pulled down and the hot air rises because it’s lighter," says the team's electrical engineer Eric Wang. That’s the students' hypothesis at least—that the heat will be distributed evenly. And the kids can see if that's true once NASA launches the software program into space and tests that theory. 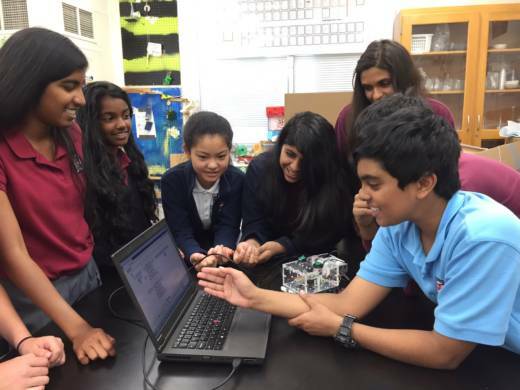 "This [data] probably won’t help NASA," admits eighth grade software programmer Ishir Vaidyanath. "But it helps us understand how fire might act in space." And that helps the students understand physics, science and engineering. They get to create their own experiment and receive data from that project instead of relying on outside research. Vaidyanath and his classmates worked with San Jose’s Quest Institute to get materials for their project. The non-profit promotes STEM education and gives students the materials they need to create science projects that can be tested on the International Space Station. The project goal is to teach kids how to design, test and execute their own experiments. And the research has had positive, unintended consequences too. "We’re sixth, seventh and eighth graders and we don’t really mix, we don’t talk to each other," says Vaddineni. "This was a way to talk to each other more than normal, and now we’re friends." About a week after the launch, the International Space Station will begin sending results from the software program that the kids designed. The students are excited to get data from their experiment—almost as excited as they are to start summer break.